The changing table is very nice and was fairly easy to put together between my husband and I. I was disappointed, however, that the color of the top ridge is much darker in person, more of an ebony than the honey-tone shown in the picture. 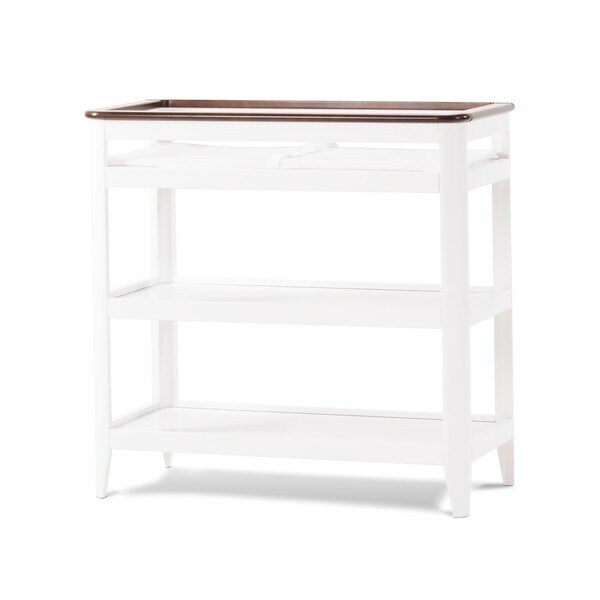 Give your little one's nursery a contemporary style with this lovely white- and brown-finished dressing table. Featuring two shelves for storage and a security strap and buckle, this dressing table is both charming and functional.